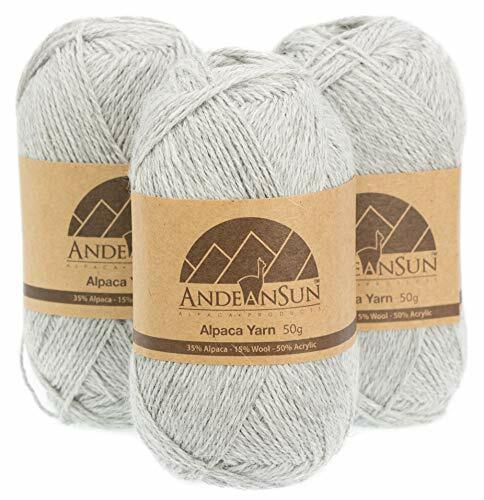 Naturally warm & soft 35% Alpaca, 15% wool, & 50% acrylic blend, perfect for knitting or crocheting socks, baby garments, stuffed animals & other craft projects. CARE INSTRUCTIONS: Hand wash or dry clean. Wash in cool water using mild soap. Rinse in cool water. Do not twist or wring. Press to remove excess water. Do not use bleach. Lay flat to dry to avoid stretching your garment, do not hang, fold and store in a dry place. 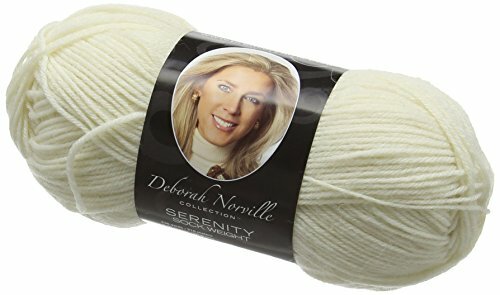 PREMIER YARN-Deborah Norville Collection: Serenity Sock Yarn-Solids. 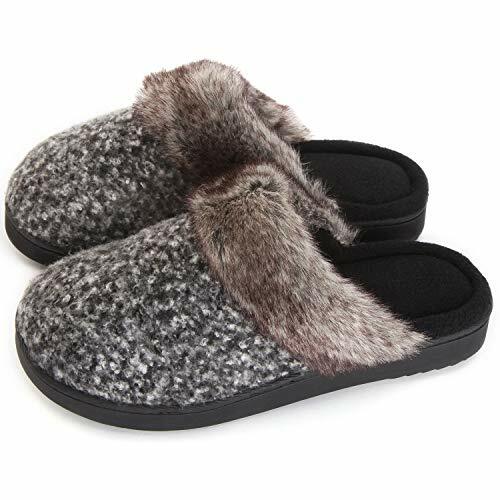 A combination of super wash Merino Wool; Nylon and soft bamboo. Projects maintain their drape and softness through machine washing and drying. 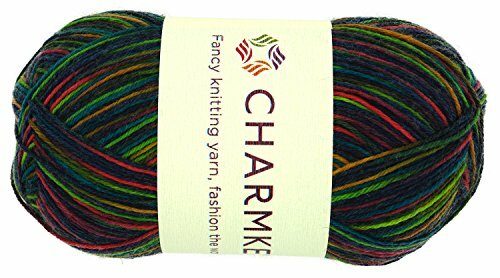 Perfect for socks; but you'll love this yarn for shawls; baby blankets; and sweaters too. 50% super wash Merino wool; 25% rayon from bamboo; 25% nylon; 1.76 ounces (50 grams) 230 yards; Super fine weight #1; 4"=32 stitches on size 2 needles; Suggested crochet hook: E4; Dyelotted; Hand wash; lay flat to dry. Imported. PREMIER YARNS: Wool-Free Sock Yarn. No scratchy wool? No problem! Wool-Free Sock is a self-patterning acrylic-based sock yarn plied with a strand of strengthening PBT which helps make your socks last! With deep saturated color and a fun-to-knit striping pattern this soft-to-the-touch yarn will add spring to the step in your socks! Weight category: 2. Content: 93% acrylic 7% PBT. Put-up: 1.7oz/50g 235yd/215m. Knitting gauge: 32st x 42 r = 4in/10cm on US-2/2.75mm needles. Crochet gauge: 26sc x 26r = 4in/10cm with US-4/E/3.5mm hook. Care: Machine wash tumble dry do not bleach do not iron. Deleted-- we try but cannot guarantee matching dye lots. Imported. 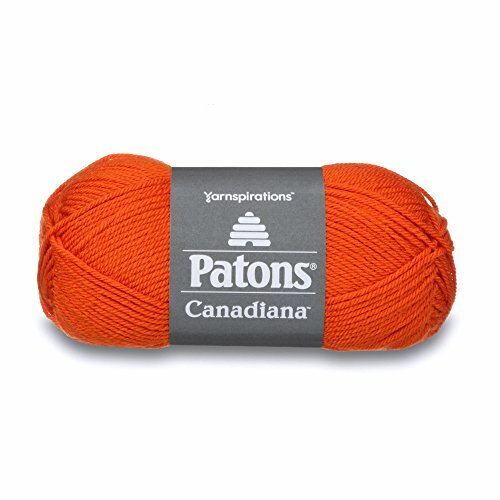 PATONS-Canadiana Yarn. 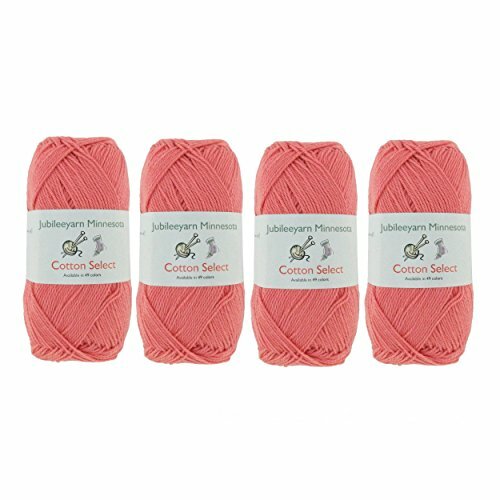 Paton's largest and most comprehensive shade range which is perfect for both knit and crochet projects. 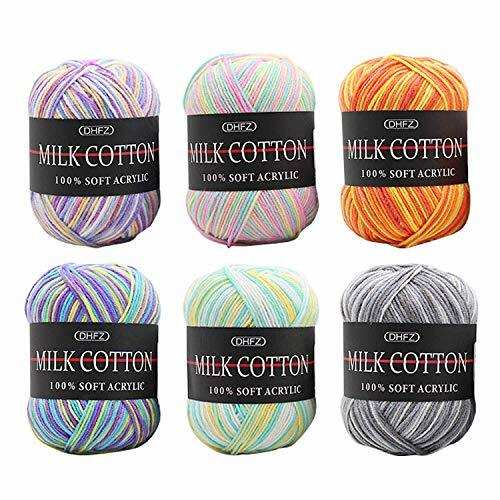 This easy-care premium acrylic yarn is super soft and wonderful for every thing from children's items to home decor. 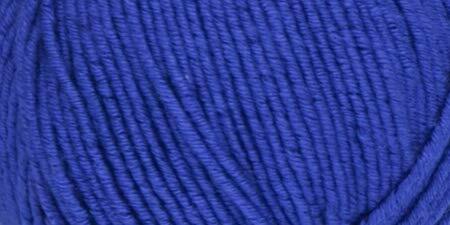 Features: Weight category: 4 100% acrylic 3.5oz/100g. Gauge: 20st x 24r = 4in/10cm on size US7/4.5mm knitting needles. Recommended crochet hook size H8/5mm. Dyelotted: we try but are not always able to match dye lots. Care: machine wash tumble dry do not bleach do not dry clean do not iron. Imported. PREMIER YARNS: Wool-Free Sock Yarn. No scratchy wool? No problem. 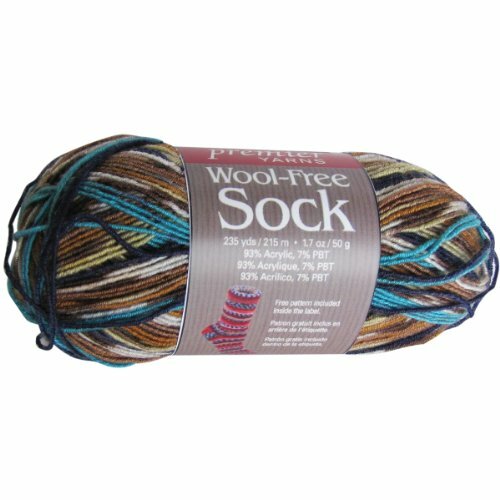 Wool-Free Sock is a self-patterning acrylic-based sock yarn plied with a strand of strengthening PBT which helps make your socks last. 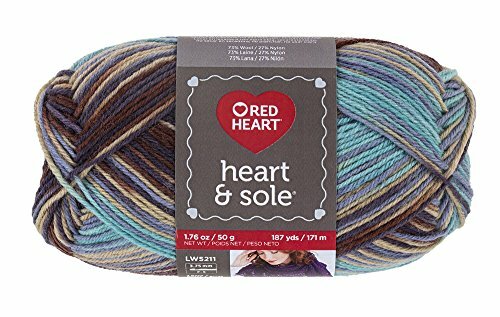 With deep saturated color and a fun-to-knit striping pattern; this soft-to-the-touch yarn will add spring to the step in your socks. Weight category: 2. Content: 93% acrylic; 7% PBT. Put-up: 1.7oz/50g; 235yd/215m. Knitting gauge: 32st x 42 r = 4in/10cm on US-2/2.75mm needles. Crochet gauge: 26sc x 26r = 4in/10cm with US-4/E/3.5mm hook. Care: Machine wash; tumble dry; do not bleach; do not iron. Dyelotted-- we try but cannot guarantee matching dye lots. Imported. Patons Kroy Socks Yarn - Three Yellow, Two Blue - Nice, Soft Yarn!